Is AW159 Lynx Wildcat Wild Enough? Artist’s impression of the two versions, Army and Royal Navy, flying in formation. The AW159 Lynx Wildcat from AgustaWestland is the successor to the existing Lynx and will enter service with the British Army and Royal Navy (RN) during 2014-2015, more than 36 years since the first Lynx helicopter achieved operational capability with the British Army in 1978. The designations are the Lynx Wildcat AH Mk1 for the Army and the Wildcat HMA Mk1 for the Royal Navy. Lynx Wildcat may have the same general appearance as the basic Lynx, originally the result of cooperation between Westland Helicopters and Aerospatiale of France (as were the Puma and Gazelle), but AgustaWestland has been more than insistent that the AW159 is a modern aircraft that’s strongest link with its predecessor is its heritage. The Wildcat was borne out of the Ministry of Defence (MoD) requirement for a new small battlefield reconnaissance helicopter as well as a maritime surface combat/reconnaissance aircraft that was capable of being deployed on the RN’s destroyers. Eight light assault helicopter (LAH) versions of the AW159 Wildcat are being discussed for service with British special forces. This decision seems to be further supported by comments made by defence procurement minister Peter Luff to the House of Commons a month later on Dec. 14, 2011: “We are planning to increase numbers of Wildcat helicopters being purchased from 62 to 66. 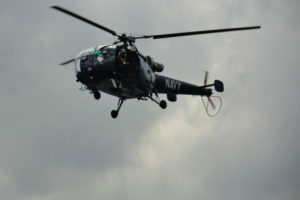 The fleet will consist of three types: 28 Helicopter Maritime Attack, 30 Army Helicopter (AH), and eight LAH [versions]. Four of the LAH aircraft were previously to have been AH type. The costs of conversion are still under consideration.” AgustaWestland’s Hillcoat said that he could not comment on the proposal as the company currently had no further orders for the proposed additional aircraft. He also could not state how this aircraft, in a light assault helicopter role, might differ in specification from the planned Army version. The Wildcat is a single source, combined helicopter procurement program has designed to meet both the Army and the RN requirement to replace the existing Lynx helicopters, although the 22 recently modernized Mark9A British Army Lynx should continue to be used after the new Wildcats have entered operational service. The Army will receive its first Wildcat in April this year with the RN’s first aircraft arriving one year later. In service dates are set for one year after first aircraft delivery and Hillcoat confirmed that all 62 aircraft will be delivered by the end of 2016. The helicopter is a six ton, twin engine, multi-role platform which, according to AgustaWestland, will “significantly enhance the Army's ISTAR capabilities.” Systems are based around a digital and integrated Open Systems Architecture that will offer improved situational awareness. A forward looking infrared (FLIR) electro-optical system is included to provide “accurate position reports and targeting data. The sight has a laser range finder and designator for both ground and air forces. The aircraft is also equipped with the Bowman radio that provides secure voice and data... with an improved data modem for the passage of secure targeting data.” The company claims that its modern design will allow future growth and the ability to integrate new and emerging ISTAR technology. The Wildcat will retain its maneuverability by using the already proven CTS800 engine, recently incorporated into the Lynx Mk9A modification. The tail has been redesigned which, according to AgustaWestland, allows a more powerful tail rotor system and “improves the aircraft’s strength and stealth qualities.” The cabin has also been redesigned to be larger. In 2006, an AgustaWestland statement put the cost of 70 aircraft at £1 billion. Current costs for 62 aircraft have been put at £1.7 billion (around £27 million each), although Hillcoat declares categorically there has been no cost increase and that the program is on schedule. AW159 lands on an aircraft carrier. The RN version of the Lynx Wildcat, prototype ZZ402, has already undergone sea trials onboard the frigate HMS Iron Duke around Britain’s south coast and waters of northern Scotland. During the 20-day trial period the test Wildcat conducted 390 flight deck landings in a variety of sea states, including 148 night landings—76 of them using night vision goggles. 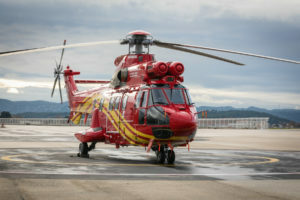 Sea trials were required as the AW159 is categorized as a new aircraft. 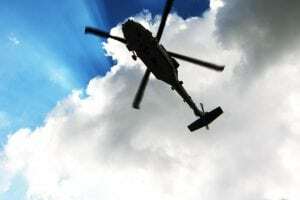 Sensors around the helicopter recorded more than 4,000 items of data from the helicopter's engines, rotor and transmission. The results of the sea trials will be evaluated over the coming nine months. What is concerning about the Lynx Wildcat is that it really appears to be an improved version of the Lynx—and however good that is, it looks to be a long way from any kind of radical step forward in helicopter design in the way that Sikorsky is developing its S-97 Raider. Both AgustaWestland and the MoD could rightly argue that this was never the intention when a replacement was being sought for the old Lynx. However, does it represent an opportunity lost to really take helicopter development a much bigger step forward? 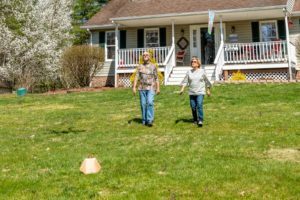 The U.S. Army is now well into its Manned Unmanned teaming program with the integration of capabilities between and across all platforms, as well as sharing data with ground troops. The MUSIC exercise in September 2011 brought together a diverse fleet of aircraft, all of which have the capability to shoot and stream live video as well as exchange and use information: the AH-64D Apache Longbow Block II, OH-58D Kiowa Warrior, MQ-1C Gray Eagle UAS, RQ-7B Shadow UAS, RQ-11B Raven UAS, Puma All Environment Capable variant and the MQ-5B Hunter UAS. 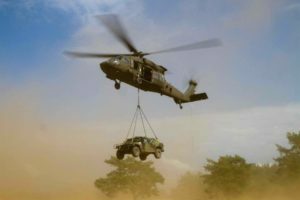 One of the stand-out requirements for the next Armed Aerial Scout (AAS) for the U.S. Army is the need for aircraft to be optionally-manned, a factor that the Army command believes will mitigate the need for aircrew to be present for every mission—hopefully freeing them up from repetitive point-to-point supply missions. Again, the Lynx Wildcat was not designed with the AAS completion in mind, but when measured against the ambitions of the U.S. Army, how much appeal will it have to the wider military market? So the AW159 Lynx Wildcat seems set to bring a step upgrade to existing capability to both the British Army and RN, and it may well appeal to other military Lynx operators who do not need the sophistication and integration of platforms and systems currently being sought in the United States.